Is this the future of live TV? Not yet, but one day. Many people complained about the tape delay and excessive ads for NBC's Rio 2016 Olympics opening ceremony coverage, but there was another option. 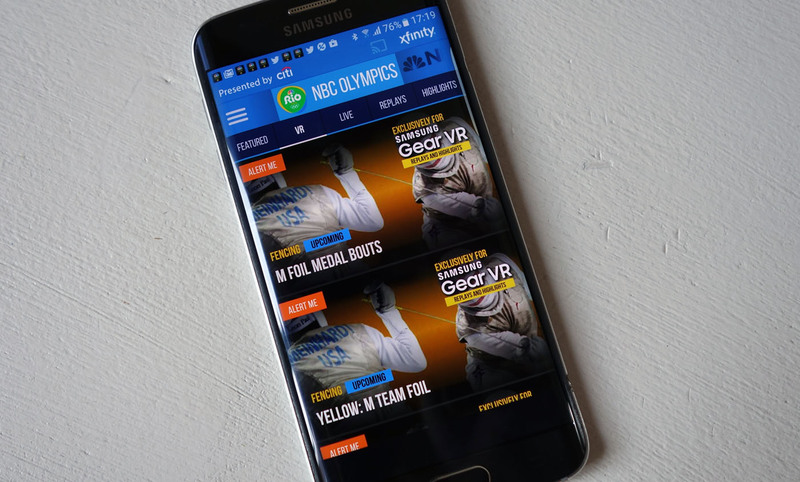 If you had a Samsung Gear VR headset and were willing to wait a day, you could watch it in 360-degree video as if you were at Rio's Maracanã Stadium. That's what I did, and it was indeed pretty cool: You're immersed in the event and can look at whatever grabs your eye. The execution and technology are still lacking, unfortunately, which degraded the experience, but it's easy to see how it could one day be a spectacular way to view live events. The setup was a bit difficult, given that I'm located in Paris and NBC's sports app only works in the U.S. But thanks to a VPN and some cooperation from NBC's PR team (being a tech journalist has its perks), I was able to get the app installed, authenticated and working with the Gear VR's Oculus software. The 24-hour delay for the VR broadcast seems excessive, but it's easy to understand why NBC did it. 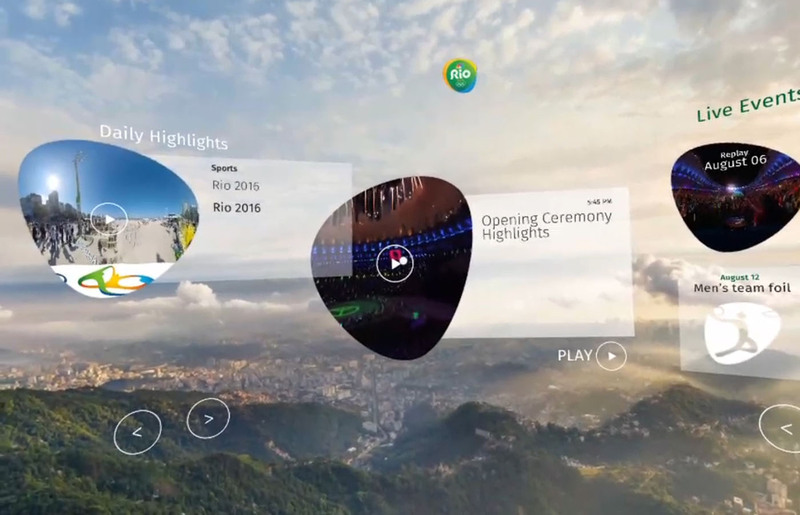 The Rio games are a big test for the feasibility of VR tech, so the broadcaster probably wanted to ensure that it worked perfectly before unleashing it on the public. Another good reason to delay the VR broadcast is that it's still pretty tricky to watch a live event on a VR headset. There are lot of things that can go wrong (app installation, et cetera), and it can take a lot of menu futzing to get it playing, so you'd hate to miss anything because of that. In other words, VR isn't just complicated from the broadcaster's side -- it's also tricky on the consumer end. So how was it? First, the good. NBC had a handful of 360-degree cameras around the stadium, with several good views from spectator perspectives. 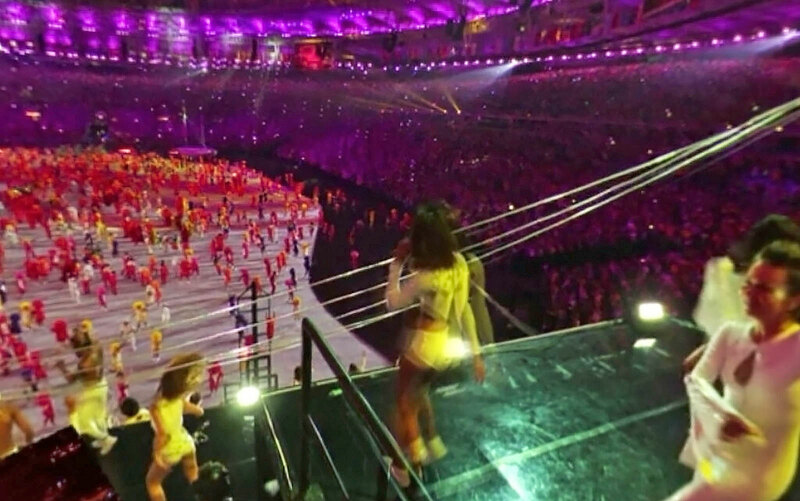 There were also cameras on the floor, letting you scope the dancers, performers and athletes up close. You could also watch NBC's regular TV feed by looking down at a virtual "screen." But a lot of the fun is choosing where to look, whether at the dancers, fireworks or crowd. The audio quality was good, and with many shots, especially close-ups, I felt immersed. The downside was the technology. The video quality was so poor, especially on wide shots, that I felt at times that I was watching a bad copy of a VHS tape. 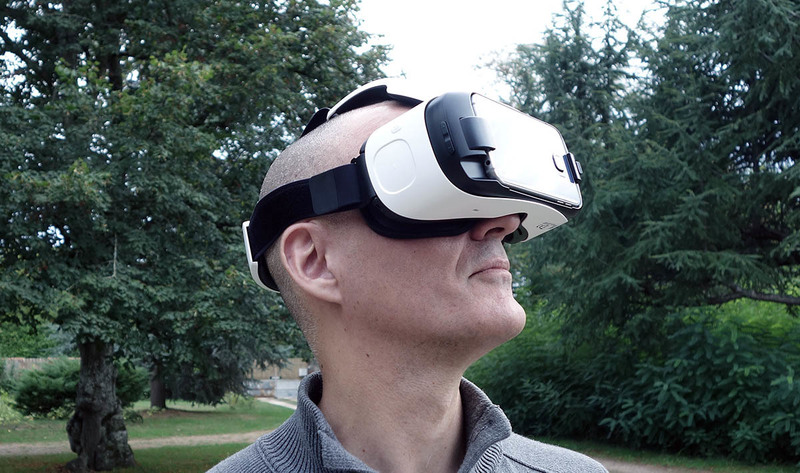 I've seen lots of 360-degree videos on the Gear VR, so I know it's possible to do better. It wasn't likely a streaming issue, as I had at least 100Mbps speeds, even with the VPN. The limited number of camera positions was also a negative; it would've been great to have athletes carry cameras, for instance. I did watch the opening ceremonies live on French TV and saw a replay of NBC's broadcast on its sports app. For now, those are clearly the superior media with crisp, high-def or 4K video, lots of close-ups, live commentary and slick production. Here's what would make VR a superior experience to a regular broadcast for me. I'd like lots of 360 cameras from fixed and mobile positions, being carried by dedicated camera operators and even athletes. After all, why not take advantage of the relatively portable 360 camera gear made by Samsung, GoPro and others? I also want a better video feed, in order to max out the resolution of the Gear VR. It'd be nice to have more well-chosen cuts from a dedicated VR director, or even the ability to choose my own camera angle, and I'd like the option to turn commentary from the regular broadcast on and off. All of this would require quite a commitment from a broadcaster like NBC, along with very fast internet speeds, high-resolution headsets and 360-degree cameras that don't even exist yet. When can we expect that? Maybe in a few years. Once all of these pieces fall into place, though, viewers will get a unique hybrid of a live event and broadcast. The only drawback is being alone inside your headset -- until they can virtually connect folks together, it's always more fun to watch big events with others.